Air101: Central Florida fun coming to the WOW route network soon! Central Florida fun coming to the WOW route network soon! 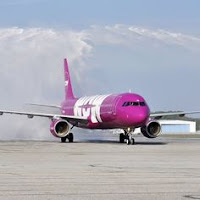 The low-cost transatlantic airline from Iceland, WOW air, has announced it will open up a new route heading the USA way from 18th December this year. The airline is expanding its route network with a service to Orlando International Airport (MCO) from its home base of Keflavik International Airport. Orlando will become the airline's 14 US destination and this route will be operated on a seasonal basis three days a week between December and April. "We are thrilled to launch our service to and from Orlando this December giving Floridians the chance to experience magical winters and beautiful springs in Europe for an affordable price," said Skúli Mogensen, CEO and Founder of WOW air. 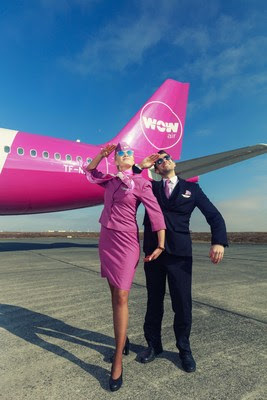 "Passengers will also have the opportunity to take advantage of the WOW Stopover and make the most of their layover time by staying in Iceland for as long as they wish. It gives travelers the flexibility to break up a long-haul journey while taking in everything Iceland has to offer on their way to Europe, all on the same trip." "Milan, Berlin, Edinburgh and New Delhi, these are just some of the exciting new destinations that are just one-stop away from Orlando with the arrival of Wow Airlines, says Phil Brown, Chief Executive Officer of the Greater Orlando Aviation Authority. "Wow's ability as an international low-cost carrier helps open doors for more business and leisure travel between Orlando and the world.". The Icelandic airline also recently announced its new route to Delhi in India would also start in December. The airline has called time on its Tel Aviv route which comes to an end on 26th October.